There are many people who like to manage multiple YouTube account (channels), same way like most of us like to manage multiple email account, one for personal use and professional use. Many people also use multiple YouTube channels to upload videos of different categories in different YouTube channels. And those who upload many videos in all their YouTube channels everyday for them sometimes it become irritating to upload one video to one channel then logout, login to different account then again upload then again logout and so on. 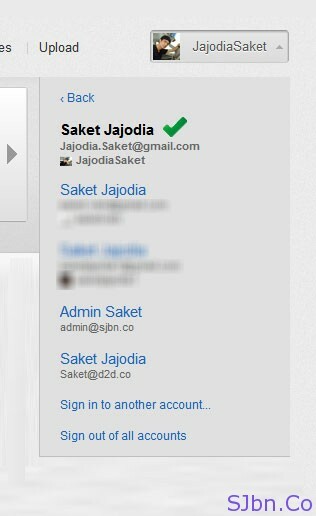 So to solve this problem Google have added multiple sign-in option to YouTube also. 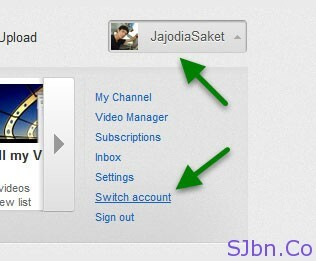 Now you don’t have to logout from your YouTube account to upload videos to your another YouTube channel, simply click on your Username on top-right corner of the page, now a drop-down menu will open, from there click on Switch account and select the account to which you would like to switch to or click on Sign in to another account…. It’s been more than a year since Google launched their multiple sign-in feature. At the time of launch it was only supported by total seven Google products and services but now it is supported by eighteen of their products and services. Which includes: Alerts, Calendar, Code, Docs, Finance, Gmail, Google+, Google Moderator, Groups, iGoogle, Maps, News, Profiles, Reader, Sites, Voice, Web Search and YouTube.